2015 was a really good reading year for me. It may not seem like much to some people, but I read 24 books last year. I set myself a challenge to read 21 books by the end of the year, and I'm so proud that I managed to achieve and beat this! The previous year I'd become so lazy with reading and only read 13 books, which for someone like me who adores reading and is never without a book in my bag, is not that many. I went months and months without reading anything so I knew I needed to change that in 2015! I thought I would share with all the fellow bookworms out there all the books I read in 2015. 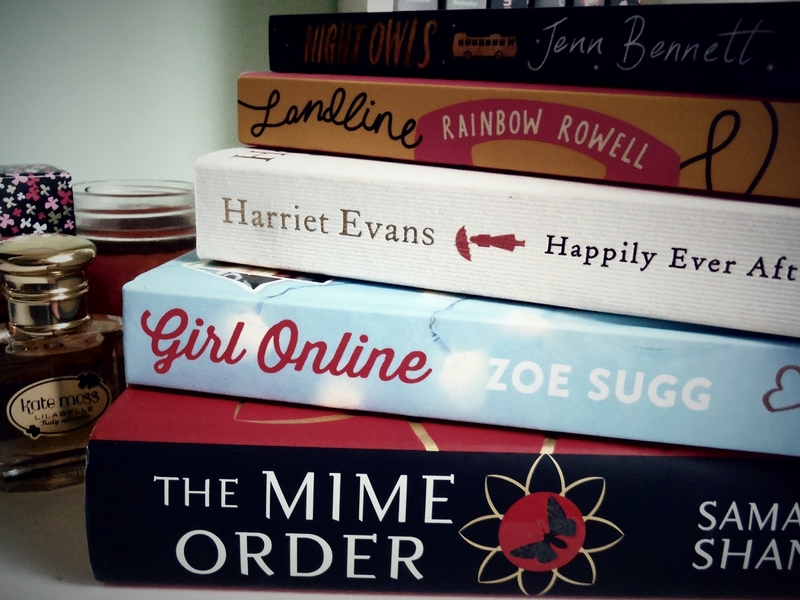 I'm also going to share my top 5 books of 2015 which was so difficult to choose! Rowling is such a huge inspiration of mine and this printed version of her Harvard speech is such an uplifting and thought-provoking quick read. I absolutely loved it! This is the second book in the Talon saga and I could not put it down. It was non-stop all the way through and I can't wait to carry on with the series! This was the best book in the trilogy in my opinion. It could almost be a stand alone book, it's that good. I'm eager to see what the films are like! I can't even put this book into words. Just please, read it. It is phenomenal! This book absolutely stole my heart. I just melted at the love story within this book and really enjoyed how different and interesting the characters were. Absolutely adored it! What books should I read next? I looove your blog is so cute ! And also yesterday, I have just started reading "Girl online", and I read quickly because it's a small novel haha ! I'm not a biggest fan to reading but since 2 years, I obsessed with "The Mortal Instruments" these books are amazing, I can recommend you :) And I really want to read "Divergent" now ! Really want to see more things in your blog, I follow you gorgeous !